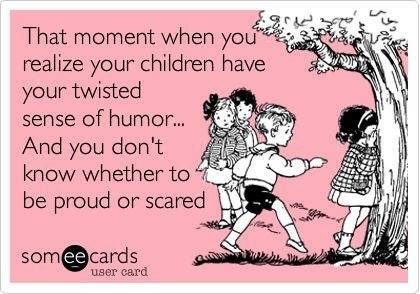 THAT MOMENT WHEN YOU REALIZE YOUR CHILDREN HAVE TWISTED SENS - ProudMummy.com the Web's Community for Mums. Sam Wallace god help alice if she gets yours! Lorin Kendall . Kayley Birdsall Scott Birdsall Lee Birdsall.